Unique and strong passwords for each account is the most important to keep your accounts decently safe. Earlier this week it was reported that Facebook has made a mistake and stored millions of passwords in plain text. Reported for example an article in Wired; Facebook stored millions of passwords in plaintext—change yours now. And this is not the first time accounts have, or possible have been revealed, by mistake or by hackers. Every time something like this Facebook case is published, and you have an account at the affected sercice: change password directly! My short recommendation for passwords: A unique and strong passwords for each account. In addition, an extra protection layer of Two factor authentification (2FA), is generally good to use whenever available. Check if you have an account that has been compromised in a data breach. The data base "Have I been pwned" is a good resource to check if and where your e-mail can be affected. I can willingly admit that I have been lazy to change password immedeately, nor have I been using strong and unique passwords. But I have improved a lot. :-) For a period of time I have been using a Password manager. It helps a lot. Read more about my password journey in the article How I handle Passwords. 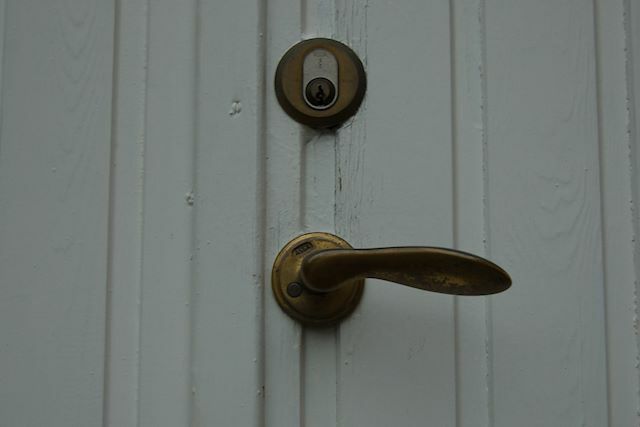 There are many articles on the internet about passwords, security and privacy. Read more than mine articles, to conclude what you thing is best for you. Joomla! is a Content Management System (CMS) software to handle a web site. The web site itself is stored as files in a file catalog, and in a data base. Joomla! is the software to create, update, administrate etc the entire web site - so normally no need to go into the file catalog or data base. This basic architecture is common for many web sites. Today I have updated this web site to Joomla 3.9.4 release, from the previous 3.9.3. The update process went well without any issue, and I have not seen any issue with the new release. This was a relatively small release with focus on security and bug fixes. The most common CMS software for web sites today is by far Wordpress. In the statistics I have seen, Joomla comes then far beyond, with Drupal on third place. I converted this web site to Joomla a couple of years ago, from a static html file site. When I am thinking back, why did I choose Joomla? I was mainly considering Wordpress and Drupal, beside Joomla. I was using Drupal already professionally, but only as a lower level administrator. I did not fully like to work with Drupal, but it could well be related to the specific implementation, and that I had so limited access. I also thought it would be nice to try something else. Wordpress was already then very popular. But it was more focused on blogs, and I wanted a CMS that was better designed for any and more advanced web sites, which I get the understanding Joomla had. Furthermore, Joomla is to my understanding the most independent and volontary built of all those Open source CMS's, which also attracted me. I have not regretted I selected Joomla! What is your thought about different CMS or other methods for web site? What do you use? Do you want to try out Joomla yourself? Then I can recommend this free trial service! You can use it for trial purpose, but you can also keep it and use it as a real web site - free or paid versions. Try Joomla at launch.joomla.org! Alvesta kommun (Alvesta municipality), Sweden, has taken the decision to change from lease of IT equipment (laptops etc) to own themself. This was decided by kommunfullmäktige (local government council) at the meeting 2019-02-26. See protocol, clause KS § 53, page 13, "Tilläggsbudget för investeringar av datorer i stället för leasing". The background is to get a better control of IT costs and also to become more cost effective. To achieve this they change model so IT department owns IT equipment instead of lease. Also the kallelse (notice to attend) to the meeting 19 March 2019 have more details of this topic. The newspaper Smålandsposten reported about this in the article 11 March 2019; "Kommunen slutar leasa datorer – blir billigare att köpa", by Oscar Ivarsson. 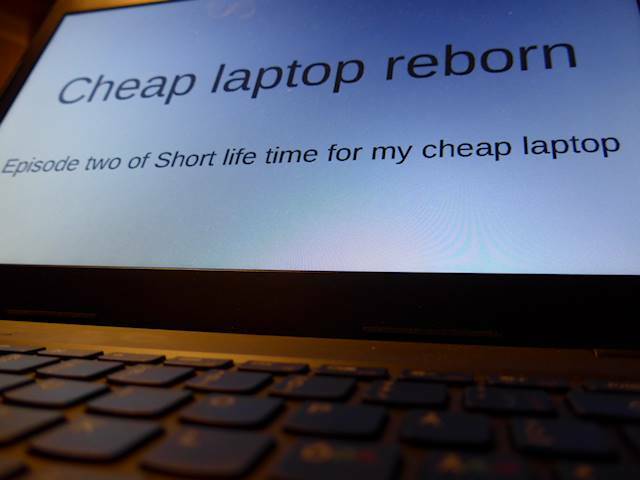 When Alvesta lease, the computers are replaced exactly every third year, tells Pär Svensson. When they own themself, the article states, it gives a possibility to be more flexible and wait 4-4.5 years when possible. Of course still to keep a refresh rate that keeps the equipment modern enough. It is interesting to read Alvesta kommun conclusion they save money by owning and having control themself! To me, it is somewhat opposite a trend to rely more on external partners. It is still to see if this was correct decision or not. Extending the average life span for the computers is also good for environment, sustainability. I believe, even if a new equipment is more energy efficient, I do not believe technical development goes so fast that it would justify to keep three years refresh rate for sustainability reasons. With my own experience of changing computer at work, I know also for me with decent computer knowledge, that I will loose many hours, 1-3 working days in total is not unlikely, to get fully up and running at each replacement. Finally, I can't stop thinking of how much more it might be possible to extend the life time if the computers had been running on a Linux distribution instead of Windows. It is my assumption they generally use Windows today, although it is not stated in the reference material. I understand this is far from becoming a reality in any near. Some of Windows software have a good compatible replacement available in Linux, but will as always require learning. But a bigger obstacle, I believe, is that they likely use more specific or custom developed software, developed for Windows only. Can sustainability become a driver for a more widly spread usage of computers running on Linux? Web browsers needs RAM memory! Web browser comparison with focus on Linux Mint browsers. There are a lot of web browsers out there. For various Linux distributions, for Windows and macOS, as well as for tablets and phones. How much resources do they need to work? I have focused on the needed memory, when showing same reference web page (hemrin.com). I have uninstalled browser extensions. 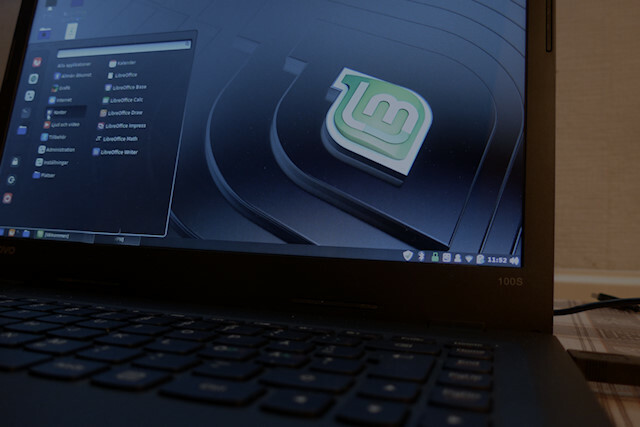 Starting point is the Linux Mint operating system with only internet connection (via VPN) turned on, idling, and of course the ordinary background programs and processes. The values are noted directly from the screen - the screen dump tool itself used for the examples below takes some resources itself (therefore screen snapshot examples have higher values than shown in the table). I have compared four browsers available in the Linux Mint repository. 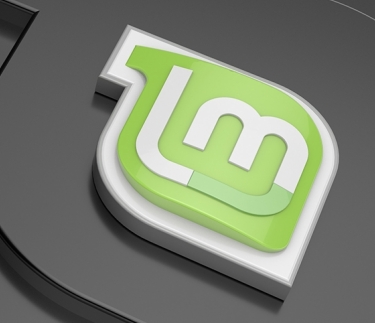 It means they available to download, install and update inside the Linux Mint program library. This is a very quick study. Anyway, I think it is accurate enough to conclude it indeed is a difference between browsers. Many more browsers exist. Memory resources is of course only one aspect of selecting browser. Security, privacy, available extensions are some other important aspects to consider - none of those are considered in this test. When browsing, the needed memory can be highly impacted of which page is browsed, and if many tabs are opened at the same time. Not at least for a computer as in the test object with very limited RAM, this memory resouce aspect can be relevant to take into account when browsing the world wide web! Main characteristics of this computer: CPU: 1.60 GHz dual core, eMCC (SSD) Hard drive: 32 GB and RAM: 2 GB. This big annual optical event is this year held in San Diego. The conference started with Short courses on Sunday, yesterday (Monday) the technical conference sessions started and today (Tuesday) also the Exhibition starts. All ends on Thursday. Today is also the day for this two hour Plenary session. It is interesting that the first speech is about 5G; mobile wireless technology! I mean, it is an optical conference, mainly with a focus on fibre based optical communication, and plenary starts by talking about a wireless radio technology! But actually, it's not so strange. Even if 5G is about wireless radio communication between the device, the mobile phone and other “things”, 5G needs a lot of fibre optics as well as microwave links in many ways “after” the radio signal has reached the radio base station antenna. So, fibre optics is indeed relevant for 5G, and vice versa. Also the last, third, presentation about self-driving cars is not really fibre optics. It would require long fibres to connect it to a driving car... Although the driverless car in the presentation used LiDAR technology, which is a laser technology, the connection to optics is indirect. The presentation didn't really tell much about how the car communicated, but 5G technology is definitely an enabler for the self-driving cars to talk to each other, and that way it absolutely relates to fibre optics. The second presentation was more directly about fibre optics; component evolution. He concluded “Collaboration is key to address costs, speed up deployment and accelerate innovation in 5G: Operators, Suppliers and Open organizations”. Benny said data traffic is growing faster than spending. Regarding energy, he said it is estimated that Information technology by 2030 will use 20% of the global electricity, not at least for Data centers and Wired access. So, to make the optical systems less energy consuming per byte is essential. A challenge for photonics is that there is not a single building block or technology, like you can have for electronics. Photonics integration is also still a young technology. The transport layer is going coherent, but max 64-QAM is reasonable, more will reduce distance too much. InP versus Silicon for photonics integration was discussed, both have its advantages, and as noted above, none technology can integrate all building blocks into one technology. Benny showed examples how rapidly the integration, the size of transport module has been reduced: from 100G MSA around 2012 to 200G CFP2 in 2017 having a forth of the former size, and 400G QSFP/OSFP coming 2019-2020 is about half of CFP2. Size is decreased plus speed is increased at the same time. Power and cost are also reduced per byte. Dmitri held the final presentation, starting with a photo of the Google self-driving car trials in 2009. Next he showed a photo from 2015 with a Waymo fully self-driving car in real traffic, with only a blind person in the car. Waymo is a subsidiary of Alphabet (the Google mother company). Fully self-driving cars are in field trials. Waymo use several technologies, e.g. LiDAR for distance, 4x short range lasers for blind spots, 19 vision cameras, radars and microphones. AI, Artificial Intelligence, is used in three main areas: Perception, Prediction and Planning. He told that with a car fleet, e.g. a fleet of Waymo cars, they interact: one car comes into a road work, this car passes on this information to the other cars in the fleet so they can adjust their driving to the expected upcoming problem. Next is also to share in the fleet what each car is doing next (e.g. “I stop now”). He didn't tell how this information sharing is done, but I'm pretty sure 5G mobile networks will be an enabler for wide scale implementation. Above are my notes from the plenary session, via webcast attendance (free to attend for anyone). The facts I have shared in this article from the plenary session are correct as far as I understood when attending, using and adding my knowledge. I attended my first OFC Conference and Exhibition 1999, in San Diego. Now it is several years since my latest live OFC. My optics field has been as fibre optic Component Engineer 1994-2013, for various optical applications, at Ericsson. I have then continued to keep an interest in fibre optics. Currently I have a pause from any ordinary job to focus on family project. More of my professional profile is available on my LinkedIn profile. I am member of OSA, The Optical Society. I am a listener to the podcast "The Voice of 5G", from Ericsson. It is hosted by Paul Cowling and Janina Hedberg. Ok, I am biasad with all my years at dear Ericsson, but I indeed do recommend this podcast for anyone interested in the evolution of mobile systems. It has a focus on 5G generation, which actually is here now! Find it on any podcast software you use! Us - Them, can be changed! Should the company focus on apples or oranges? Or go bananas with both? About innovation.